I am always on the lookout for fun writing activities for the kids. Both of mine have incredible imaginations and come up with lots of stories but they are not big on putting the stories down into a written format. It is something we have been gently encouraging my oldest to do. We always use the topics that she is interested in but even then a blank piece of paper can be very intimidating. One of our new favourite ways to write mini-stories has been using the Activity Village booklets. They are not very big, you print the template onto an A4 size piece of paper (A4 is just the standard size of printing paper here in the UK) and then fold it according to the instructions (I am leaving a link for the folding instructions at the bottom of the post). Each page just ends up with a few lines which is perfect for us (you can also print out a blank version without any lines). This means she can fairly quickly fill the booklet with her writing, which reduces the pressure to write too much but she also has the option of continuing writing in a second booklet if she wants to. 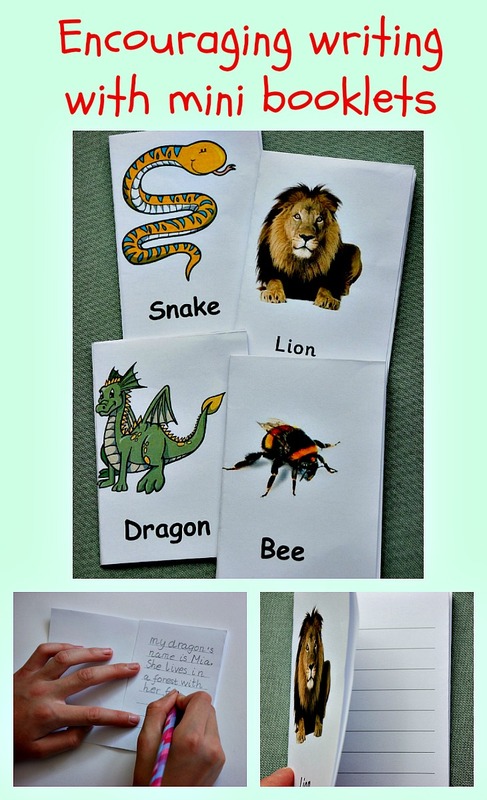 We have used them for factual writing about the animals (like a mini fact booklet) and also for fictional story writing. And for someone like my daughter who likes collecting bits and pieces the booklets are always packed away afterwards. She has been enjoying the booklets so much that she has persuaded her brother to try a few. The Booklets that we are using are from Activity Village and are part of their paid for membership. For step by step instruction on how to fold these booklets look here on the Activity Village site – Step by Step folding instructions. I must admit that we don’t always end up with a perfectly folded booklet especially when my son creates one but it does not ruin the writing fun. This entry was posted in Homeschooling and tagged activity village, educational resources, english resources, home ed, home education, homeschooling, writing ideas. Bookmark the permalink. So cool….they children love having little notes of their own creation to read at random afterwards. Lovely print outs to encourage this….